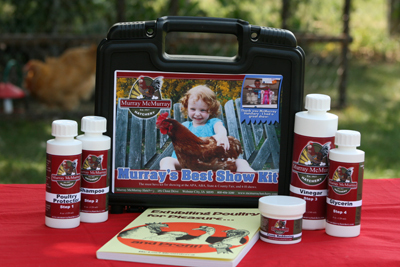 The Murray's Best Show Kit contains an array of products used by Blue Ribbon Chicken owners. We have collaborated with several Award-Winning chicken owners and asked them what they use, and what they would want in a kit. And we've packed in an handy carry case for you!